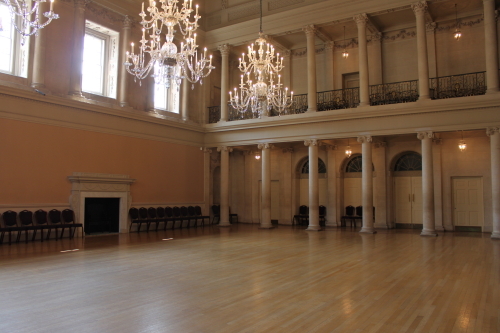 As a teenager I was much addicted to reading the romantic novels of Georgette Heyer and in early adulthood I fell in love with Jane Austen’s works, so when I was in Bath last week it made perfect sense to make a beeline for the Assembly Rooms in the Upper Town. 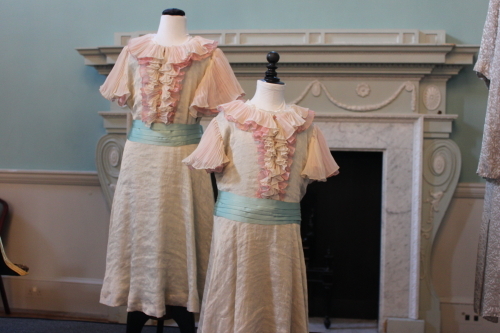 The rooms were at the heart of fashionable Bath society in bygone centuries; Georgette Heyer’s heroines, Jane Austen (when she lived in Bath) and characters in her Bath novels (Northanger Abbey and Persuasion) visited the rooms to dance, listen to music, play cards or drink tea. 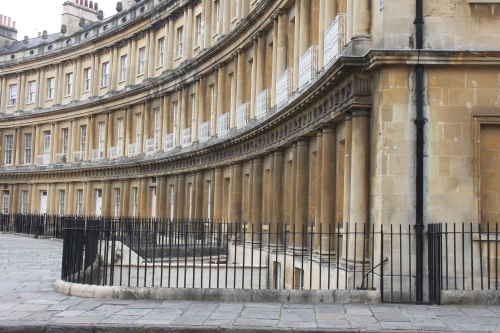 The elegant rooms are on view to the public but as they are empty except for a few pieces of furniture and the splendid chandeliers, it was difficult to imagine what they were like back in the day when, candles flickered after dark, young women were chaperoned in public places and Beau Nash ruled society in Bath. 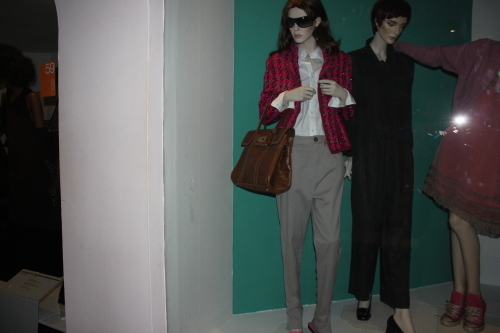 The outfit I would most liked to have walked away in, came from the contemporary section of the permanent collection, it was a very wearable high-low mix of a vintage Chanel jacket worn with chinos and a white blouse from The Gap, accessorized with a Mulberry bag. 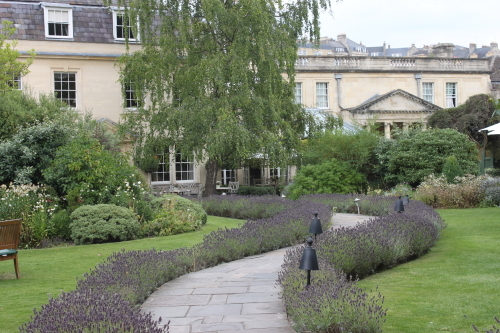 After my visit to the Assembly Rooms I strolled to the magnificent perfectly proportioned Royal Crescent where I stopped to have tea and homemade biscuits in the sunlit garden of the Royal Crescent hotel. I am sad as I write this, as the television is on in the background and I am listening to news and discussion about the violence, rioting and looting in parts of England over the last three days. It’s very difficult to take in, in total contrast to the serene England I saw a week ago and a shocking reminder of the lurking darkness that can cast gloomy shadows around the heart of any civilized society. 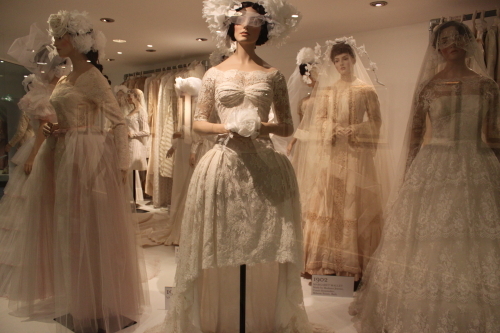 I didn’t go to the Costume Museum when I was in Bath. Clearly I need to go back. I can’t believe what I am seeing in English – it is so unEnglish. I hope everything settles down soon. I was very pleased to see people out with their brooms. That happened here earlier this year when Brisbane flooded. Volunteers came from everywhere to help with the cleanup. There are good people around. Hello and thanks for your comment. I agree there are good people around and I think that very often the very worst disasters brings out the best in people – good to hear people rallied around to clean up after your flood. 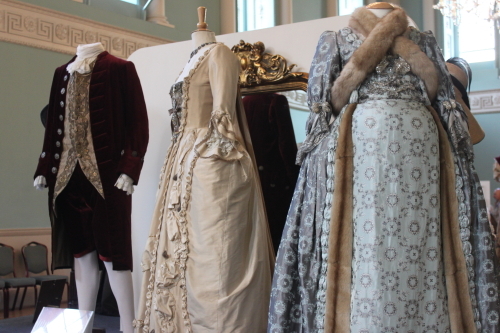 If you get back to Bath the costume museum is small but interesting but I wouldn’t recommend their cafe.